Produces gorgeous rounded pink-dappled borlotti-like beans, used either fresh or dried and shelled. 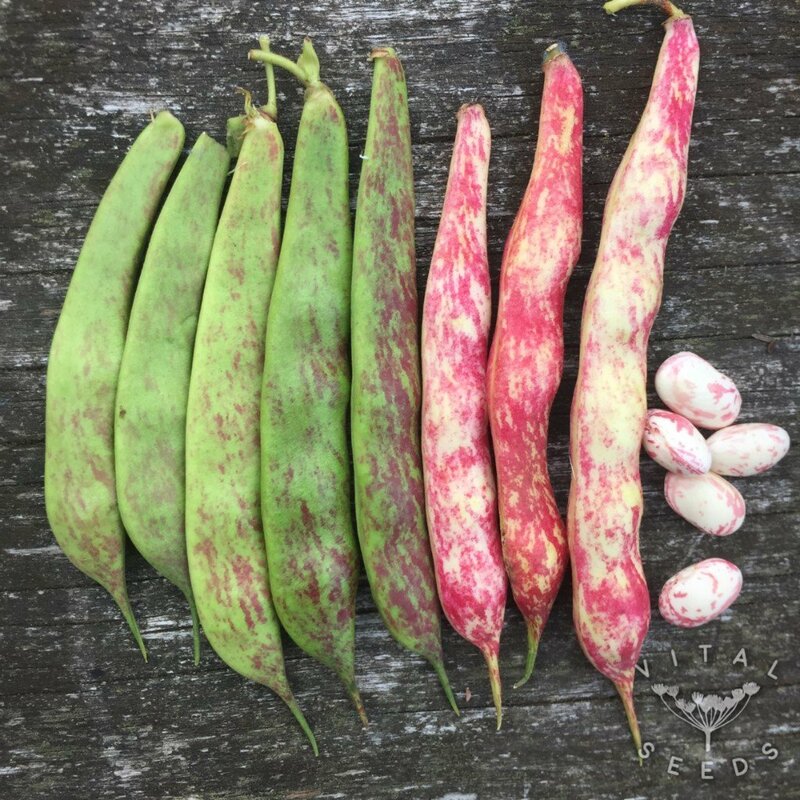 Stokkievitsboon is a climbing French bean variety from the Netherlands with beautiful speckles of pink on the pod as well as on the bean. The name translates as ‘Pole Lapwing Bean’ as the beans look like the eggs of lapwings (a kind of bird). We love them for their excellent taste, colour and versatility. 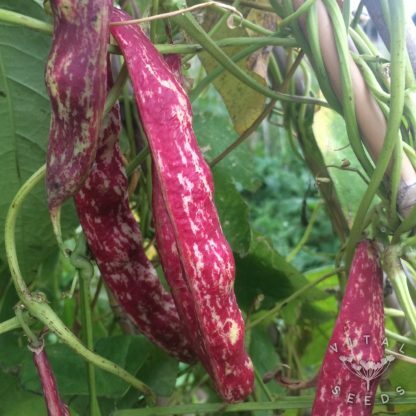 We eat them either young in the pod raw or cooked, or shelled and used like a dry bean.